Whether you are setting up a casual work station or looking to display framed photos and stacked hardcover books, this Furinno Simplistic Study Table is sure to update your space in simple style. Try setting it at the center of your home study to anchor your space in modern farmhouse style, and topping the desk with a matte black lamp, an antiqued clock, and a bouquet of blue hydrangeas. Finally, pull up gray linen Parsons Chair to complete the look. 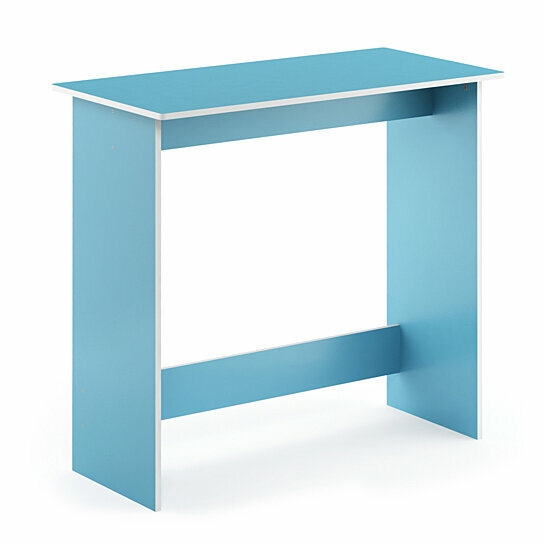 This study desk is easy assembly with step by step instruction. Care instructions: wipe clean with clean damped cloth. Avoid using harsh chemicals. Pictures are for illustration purpose. All decor items are not included in this offer. Material: CARB Grade composite wood. Sturdy on flat surface. Assembly required. Please refer to the manual guide link in product description.